The teen has flown back to the UK, there won't be many more trips for him to come home during the school holidays for much longer. It was too hot in Dubai last summer so I'm making the trip to the UK this year to be with him. He'll be back for October half term, but not Christmas, he wants to spend it with his Granny, his last one before he becomes an adult, his next trip after that will be next Easter, then he leaves school. Being a mummy for me was cut short a few years ago when he returned to the UK to finish his education and the last child left home. But there is a few positives. 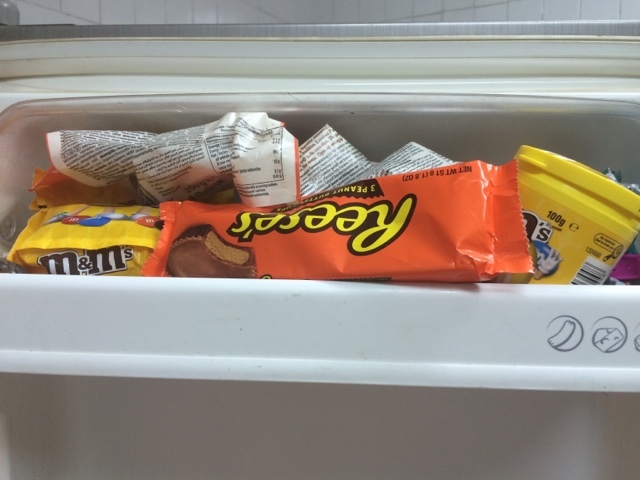 There's always chocolate in the fridge when he's not here.